computer-related problems and technical support issues that [Ergun Fikri] experienced while a customer at Best Buy. On February 4, 2012, [he] purchased a Toshiba laptop computer from the Best Buy store in Mason, Ohio. The computer came with a one-year manufacturer's warranty, which was limited to correcting defects in the computer's hardware. In addition, [Fikri] purchased a separate two-year service contract with Best Buy to provide technical support on the new Toshiba computer and his existing Dell computer. [Fikri] began experiencing problems with his Toshiba computer within the first several months of his purchase and contacted Best Buy. On July 16, 2012, Best Buy diagnosed the problem as a corrupt operating system and recommended his computer be sent to its Louisville, Kentucky center for warranty repairs. Since [Fikri] could not be without his computer . . ., he elected to take [it] home and wait to fix it at a more convenient time. On August 16, 2012, [Fikri] returned to the store to have his computer serviced. In the Best Buy service order dated the same day, the service technician noted problems with the internet and also that the computer `makes loud noises on startup and waking from sleep.’ The service technician at Best Buy also performed a spyware and virus screen, in which he noted that the scan detected nineteen spyware programs. As a result of the problems [Fikri] was experiencing with the computer, Best Buy sent the machine to its Chicago facility which replaced the mother board, HDD hard drive, and Wi–Fi hardware systems. Pursuant to the manufacturer's warranty still in place, [Fikri] was not charged for any of those services. On August 28, 2012, [Fikri] received his computer back from Best Buy. [He] testified at trial that the software and spyware problems were corrected following the replacement of those parts. However, [Fikri] was dissatisfied with the work done and raised a number of complaints regarding his experience with Best Buy. [He] alleged Best Buy negligently or intentionally replaced his Toshiba power cord and battery with a used and defective power cord and battery. He also disagreed with Best Buy's decision to replace the Toshiba hardware, rather than just delete the spyware, which he believed would have corrected the problem. In essence, [Fikri] alleged that Best Buy's actions were motivated by a scheme to harvest component parts for re-use and re-sale for its own pecuniary gain. Fikri v. Best Buy, Inc., supra. Toshiba computer, [Fikri] also alleged that Best Buy failed to service his Dell computer, which was also covered under the two-year services contract with Best Buy. According to him, Best Buy declined to work on the Dell laptop computer, which was also infected with spyware. That computer was subsequently repaired by Office Depot and billed to [Fikri]. pro se, in the Mason Municipal Court, Small Claims Division, alleging violations of the Ohio Consumer Sales Practices Act (CSPA) for Best Buy's actions with respect to the Toshiba and the Dell computers. The case was heard before a magistrate on February 6, 2013. The magistrate found [Fikri] failed to establish any theory of liability and entered judgment in favor of Best Buy. The trial court adopted the magistrate's decision. Fikri v. Best Buy, Inc., supra. Fikri appealed the court's ruling, claiming it erred in applying the CSPA in this case and that the trial court and the magistrate “erred in their facts” and in “as well as in their application of” the Act. Fikri v. Best Buy, Inc., supra. case was adjudicated after a full hearing in the Mason Municipal Court. As an appellate court, our review of a trial court's decision is limited to whether the judgment is against the manifest weight of the evidence. . . . The Ohio Supreme Court has confirmed that when reviewing the manifest weight of the evidence, an appellate court conducts the same analysis in criminal and civil cases. Eastley v. Volkman, 132 Ohio St.3d 328, 972 N.E.2d 517 (Ohio Supreme Court 2012). As such, we weigh the evidence and all reasonable inferences, consider the credibility of witnesses, and determine whether in resolving conflicts in the evidence, the finder of fact `clearly lost its way and created such a manifest miscarriage of justice that the [judgment] must be reversed and a new trial ordered.’ Id. quoting State v. Thompkins, 78 Ohio St.3d 380, 678 N.E.2d 541 (Ohio Supreme Court 1997). If the evidence presented to the trial court is susceptible to more than one interpretation, we are bound to give it the construction that is consistent with the trial court's judgment and finding of facts. Jones v. Holmes, 2013 WL 501731 (Ohio Court of Appeals 2013). A reviewing court should not reverse a decision simply because it holds a different opinion concerning the credibility of the witnesses and the evidence submitted before the trial court. Artisan & Truckers Cas. Co. v. JMK Transp., L.L.C., 994 N.E.2d 52 (Ohio Court of Appeals 2013). .The underlying rationale of this deferential standard rests with the understanding that `the trial judge is best able to view the witnesses and observe their demeanor, gestures and voice inflections, and use these observations in weighing the credibility of the proffered testimony.’ Mike Castrucci Ford Sales, Inc. v. Hoover, 2008 WL 757526 (Ohio Court of Appeals 2008), quoting Seasons Coal Co., Inc. v. City of Cleveland, 10 Ohio St.3d 77, 461 N.E.2d 1273 (Ohio Supreme Court 1984). thrust of [his] action involves Best Buy's alleged violation of the Ohio Consumer Sales Protection Act. The CSPA provides, `[n]o supplier shall commit an unfair or deceptive act or practice in connection with a consumer transaction. Such an unfair or deceptive act or practice by a supplier violates this section whether it occurs before, during, or after the transaction.’ [Ohio Revised Code §] 1345.02(A). . . . The CSPA generally defines ‘”unfair or deceptive consumer sales practices' as those that mislead consumers about the nature of the product they are receiving, while ‘unconscionable acts or practices” relate to a supplier manipulating a consumer's understanding of the nature of the transaction at issue.’ Whitaker v. M.T. Automotive, Inc., 111 Ohio St.3d 177, 855 N.E.2d 825 (Ohio Supreme Court 2006), quoting Johnson v. Microsoft Corp., 106 Ohio St.3d 278, 834 N.E.2d 791 (Ohio Supreme Court 2005). A nonexhaustive list of practices defined as `unfair’ or `deceptive’ is contained in [Ohio Revised Code] 1345.02(B). problems he experienced with both his Toshiba and Dell computers. He testified he purchased his Toshiba computer from Best Buy, and elected to put both his Toshiba computer and his Dell computer under the service contract with Best Buy. He also testified as to the defects associated with both computers, the potential causes of those defects, the hardships he experienced in resolving those issues, as well as his own theories accounting for Best Buy's actions. Matthew Konn, the general manager of the Best Buy store located in Mason, Ohio testified on behalf of Best Buy. His testimony largely related to the standard practices and procedures of the company. After considering the evidence presented, the trial court concluded [Fikri] failed to prove his case by a preponderance of the evidence. Based on our review of the record, there is competent, credible evidence to support the trial court's factual findings and its decision was not against the manifest weight of the evidence. Accordingly, we affirm the judgment of the trial court. constitute `unconscionable’ or `deceptive’ actions under the CSPA. Namely, [he] points to the number of defects in the computer that he purchased, an allegation that Best Buy ordered replacement parts under his manufacturer's warranty in order to further a `harvesting’ scheme, and the failure of Best Buy to inform him about the spyware that was found on his computer. With respect to the quality of his computer, [Fikri] first argues that the definition of `deception’ under Ohio Revised Code § 1345.02 is met in the present case based on the `magnitude and total number of defects’ associated with his laptop. 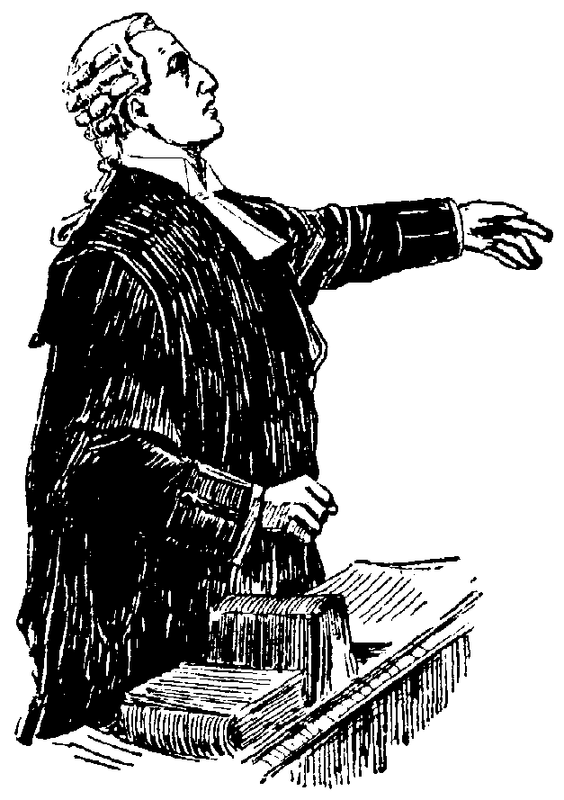 The trial court heard [his] testimony as to the numerous problems that he experienced with his computer and the steps taken to resolve the issue. [Fikri] testified at length about the stress, loss of business productivity, and numerous trips to the store that he had to make in order to resolve the issue. However, merely because a customer experiences difficulties with a product after its purchase does not invariably mean the CSPA was violated. The burden of proof is on the party bringing the action to prove the facts necessary for his case by a preponderance of the evidence. Adaptable Custom Homes, Inc. v. Affordable Luxury Homes, Inc., 1992 WL 29236 (Ohio Court of Appeals 1992). . . . [Fikri] failed to present any evidence that the computer problems were caused by Best Buy. To the contrary, Best Buy proffered testimony showing that spyware can come onto any computer through a number of ways, including simple web browsing. After having considered all of the evidence introduced on this matter, we find the trial court's decision that there was no violation of the CSPA based on the defects in the computer was not against the manifest weight of the evidence. Ohio Revised Code § 1345.02(B)(7) in the sale of his laptop by unnecessarily replacing component parts of his computer when they were not needed. In support, [he] entered a work order into the record, which shows handwritten notes by a Best Buy employee indicating Best Buy conducted a spyware and virus scan of his computer, but failed to remove the spyware that was found. by the employee were only preliminary notes and did not reflect the actual removal of spyware. Best Buy also introduced testimony that the spyware was removed at a later time. Other than [Fikri’s] own theory, there was no evidence placed in the record demonstrating Best Buy was involved in an illegal harvesting scheme. As a result, the trial court weighed the conflicting evidence of the two sides and found [Fikri] had not proven his case by a preponderance of the evidence. Based on our review of the record, we find the trial court's conclusion that Best Buy did not violate the CSPA is supported by competent, credible evidence and is not against the manifest weight of the evidence. because they allegedly failed to inform him of the existence of spyware until ten days after it was discovered on his computer. However, [he] failed to present any evidence demonstrating why this constitutes an unconscionable action or that a ten-day time period was unreasonable or excessive. Accordingly, the trial court's decision finding that appellant failed to prove a violation of the CSPA was not against the manifest weight of the evidence. switched and replaced while the computer was in the possession of Best Buy. He contends the trial court erred when it concluded Best Buy was not liable for the damages associated with the purchase of a new power cord. [Fikri] testified that, when he gave the computer to Best Buy, the power cord and battery were new and undamaged. However, he claimed that when the computer was returned to him, the power cord and battery both needed to be replaced. He alleged Best Buy was responsible for this because `a power cord does not wear out in six months, let alone in ten days when it was in their possession.’ Accordingly, [Fikri] argued that Best Buy had intentionally or negligently exchanged his power cord with this defective power cord. showing there were internal procedures in place for preventing a switch in component parts. According to testimony at trial, Best Buy places stickers on each customer item to ensure the proper component parts stay together. Best Buy also introduced testimony that the power cord appeared to be damaged as a result of normal wear and tear. The trial court concluded [Fikri] failed to demonstrate by a preponderance of the evidence that the items were actually switched. Our review of the record demonstrates sufficient, competent and credible evidence to support the trial court's decision. Accordingly, the trial court's decision was not in error. failed to establish Best Buy breached any contract. While the trial court found [Fikri] had purchased a two-year service contract with Best Buy, the court determined that [he] did not introduce sufficient evidence to show that Best Buy breached that service contract. After careful consideration, we cannot conclude that the trial court erred in finding that Best Buy did not breach its service contract with [Fikri]. The record demonstrates Best Buy serviced [his] computers multiple times pursuant to the service agreement in place between the parties. [Fikri] testified that the software issue is now corrected on both computers. While [he] ultimately took his Dell laptop to another store to be fixed, he did not present any evidence showing Best Buy refused to honor its service contract. Simply, as noted by the trial court, [Fikri’s] `trial evidence provided no coherent explanation linking his Dell computer to a claim for damages against Best Buy.’ Accordingly, there was no error in the trial court's determination that Best Buy did not breach the service contract with [Fikri]. proven or justified. While a prevailing party is entitled to damages under the CSPA, it is incumbent on the plaintiff to prove by a preponderance of the evidence that a prohibited act has occurred. Since plaintiff failed to prove he is entitled to recovery for the alleged violations by Best Buy, he is not entitled to any money damages. The Court of Appeals therefore affirmed the judgment of the trial court. Fikri v. Best Buy, Inc., supra.